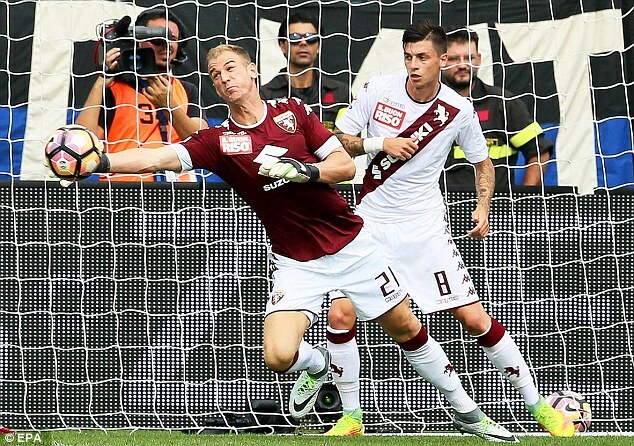 For nearly an hour, Joe Hart seemed at ease in Serie A but his Torino debut went awry when he left his goal in search of a high ball and made a costly error, remarkably similar to Claudio Bravo’s in the Manchester derby. Hart could only get his fingertips to the swirling corner kick. He tried to flick it to safety with a twist of his wrist but only succeeded in touching it on to Andrea Masiello who was lurking beyond the back-post, from where he slid in Atalanta’s equaliser. Such is the lot of the goalkeeper. Ask Bravo, who won on his Manchester City debut at Old Trafford only to trigger debate about his suitability to English football with some of the more extravagant aspects of his performance. 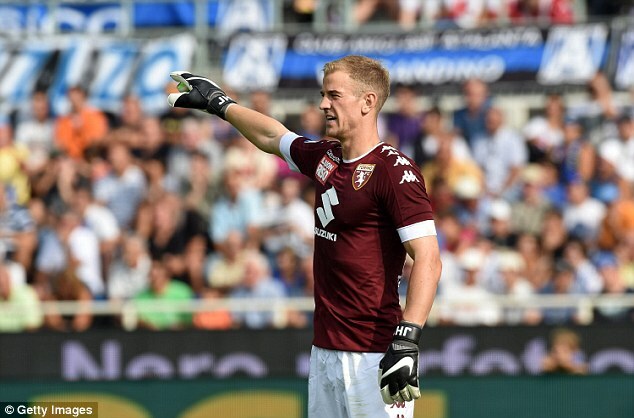 For Hart, on his debut, there came a chance to make amends when Atalanta were awarded a late penalty. England’s No 1 went one way, however, as Franck Kessie’s spot kick nestled into the other corner and Torino were beaten for the first time this season. It was not the start he wanted in the opening game on this new adventure. Perhaps there were signs this would not be his day when Atalanta got his name wrong. They had ‘John Hart’ in goal for the visitors on the official team sheets. 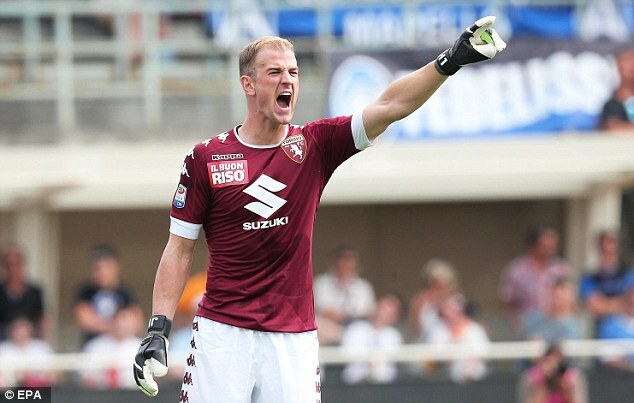 His full name is Charles Joseph John Hart but after 64 England caps and two Premier League titles he might have expected them to know which one to use on his Serie A debut. Hart did not appear concerned as he warmed up in Bergamo’s Stadio Atleti Azzurri d’Italia and blew kisses towards the VIP seats. Around 1,500 Torino supporters had made the two-hour trip and they crowded into a small area of terracing and jumped around, many of them shirtless. One produced a Union flag before kick-off and the teams filed out to a thunderous rendition of Status Quo and ‘Whatever You Want’. 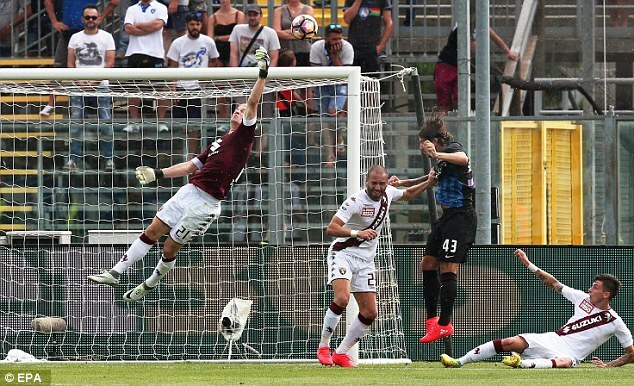 Hart draped a maroon towel across the left shoulder of his No 21 shirt of the same colour and grinned as Atalanta’s ultras jeered him into the goal. The Atalanta team, at least, were more generous than their ultras, barely troubling Hart in the first half and missing the target with some glorious chances. 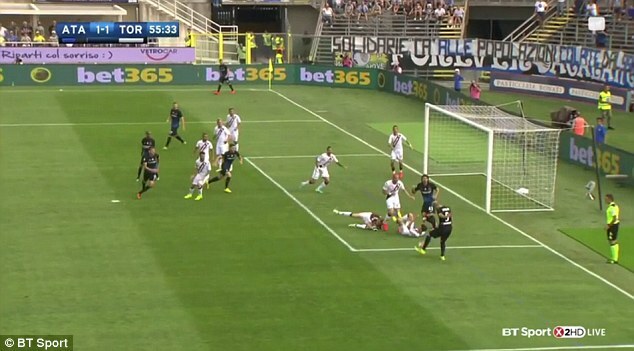 Twenty minutes had passed before his first save, a low block from a fierce cross-shot by Frank Kessie, cutting into the box from Atalanta’s left. From Hart’s left hand, the ball squirted high into a dangerous area where Abdoulay Konko struck it on the volley but this effort hit his team-mate Mauricio Pinilla, and rolled wide. Until this point, the England keeper’s only contribution had been to regularly serve the ball into play from free-kicks and goal kicks, mostly taken short to his captain, Cesare Bovo, in central defence, or sprayed with confidence wide to the full backs as they pushed towards the halfway line. There was nothing here to support the theory he lacks quality with his feet. Only once did he miss his target and launch the ball into touch. Hart produced another routine save, fielding a low shot from distance and was rescued by a clearing header from centre-half Leandro Castan after misjudging a cross. At times, his goal enjoyed a charmed existence, especially when Kessie missed the target in stoppage time at the end of the first half when he arrived at the back post and jabbed a deep cross into the turf and over the bar. By this point, Torino manager Sinisa Mihajlovic had been ordered to the stands after reacting furiously to decision not to award his team a free-kick for an obvious foul on Maxi Lopez. Mihajlovic stormed off down the tunnel behind Hart’s goal, his assistant manager Attilio Lombardo stepped out of the dug-out to take his place on the touchline. Lombardo, once player-manager of Crystal Palace, spent three years at Manchester City as a coach under Roberto Mancini and will know Hart well. 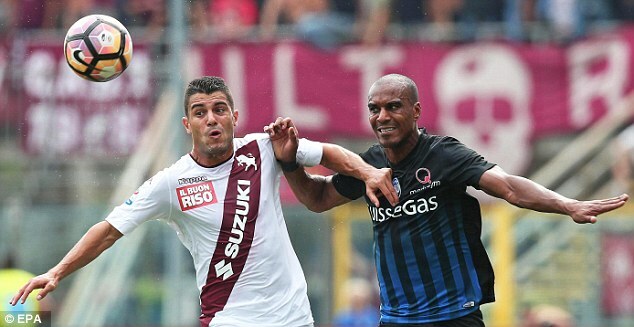 Torino took the lead early in the second half when Iago Falque, a winger once of Tottenham and Southampton, struck with a curling free-kick. The lead lasted only a few seconds, however, when Mirko Valdifiori conceded a needless corner and Hart failed to claim it. Atalanta were on top, and wasted more chances before Lorenzo de Silvestri tripped Alejandro Gomez and Kessie converted the winner from the penalty spot.